The Diocese of Gaylord also offers an opportunity to earn emblems or patches from the P.R.A.Y. Program. Every Scout professes a Duty to God in the Cub Scout Promise, Boy Scout Oath,Girl Scout Promise, and Venturing Oath. 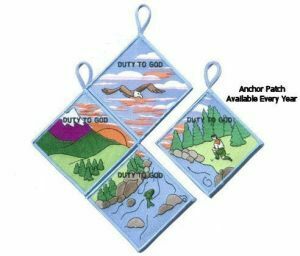 Religious emblems can provide a spiritual component to your local Scouting program. Contact the Diocese of Gaylord to begin a program. The purpose of this patch is to encourage youth and adults to learn about and promote the religious emblems programs. These patches can be earned by youth or adults. Attend or make a presentation on religious emblems.